Cologne is one of the oldest cities in Germany. Situated on an area of 405 sq km, it stretches along both banks of the Rhine in the west German state of North Rhine-Westphalia. With a population over 1 million people, Cologne is the fourth largest among all German cities. Here in one place together are representatives of more than 80 nationalities. Most of them are Germans (82, 6%), and the rest - Turkish immigrants from the former Yugoslav Republic, but also a lot of Russians and Italians. The first settlers in the lands of present-day Cologne are Celts and Germanic tribes. In the region of Cologne was born Agripina, known as Junior, to distinguish it from her mother, who bears the same name. A little later, Agripina became the wife of Emperor Claudius, and later the mother of Nero. Her will decreed the settlement near present-day Cologne to obtain rights of a Roman city in 50 BC, by the name "Colonia Claudia Ara Agrippinensium" (CCAA). The city was a major center in the Roman province of Germany. In the Middle Ages Cologne was one of the largest cities and around 1500 - the largest in Europe. 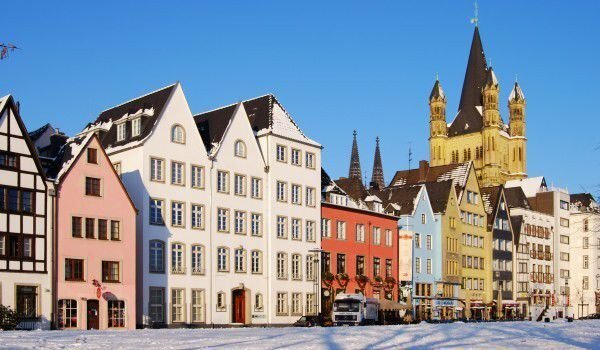 Cologne is also famous for its many museums, churches, zoo and parks, Chocolate Museum and others. It is also a great educational center. More than 540, 000 students lived and studied in Cologne . Here is located the largest radio and television center in Germany. 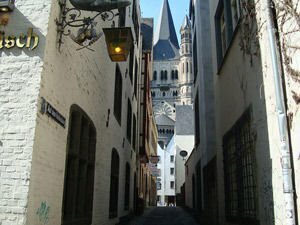 Walk through the historic sites in the western German city is better to pass on the left bank of the Rhine, where the old Roman, medieval part of town currently is. The neighborhood "Cologne MESSE" regularly hosts different exhibitions and fairs of various industries and the arts. 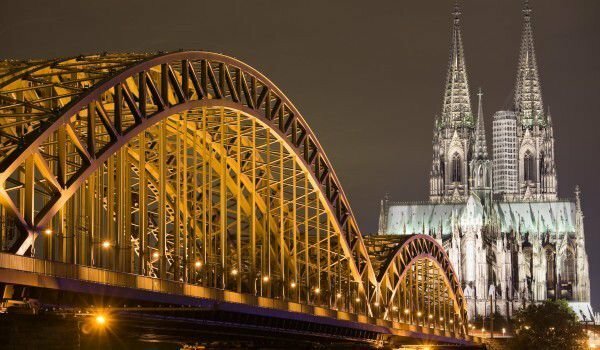 Cologne is chosen for a center of such influential organizations as the International Chamber of Commerce, the Union of German Industry, Trade and Industry, Union of Employers and Union of German banks. From the time of Napoleon, in Cologne is produced "Eau de Cologne" (from French "Cologne Water", "cologne"), which became over time a byword for perfume. It is widely alleged that the first real cologne is "4711". The first cologne had actually been produced in Cologne, but his name is "Farina" rather than "4711". In Cologne is the main hub of Lufthansa. Undoubtedly the biggest attraction in Cologne is the Cologne Cathedral. This unique building was declared a religious and tourist symbol № 1 and most important tourist attraction throughout Germany by a study of sectoral grouping of DTV, on tourism in the country. The Cologne cathedral "Saint Peter and Saint Marie" (Kölner Dom, officially Hohe and Domkirche St. Peter und Maria) is the largest gothic edifice of Christian territory in Western Europe. They are located about 250 meters from the Rhine, near Central Station and the Museum Ludwig. With its 157 m height Cologne Cathedral is the second largest cathedral in all of Germany (after the cathedral in Ulm) and third highest in the world. It is the central temple of the Roman Catholic archbishop of Cologne diocese. Competition in size are only the cathedrals in Seville and Milan. From 1880 to 1884, "St. Peter and St. Mary” was even once the tallest building in the world, so is also the most popular landmark in Germany and in 2005 Pope Benedict XVI visited the cathedral on the occasion of the World Youth Day. Construction of 1248 lasted until 1437, and in a later stage, from 1842 to 1880 in place of the old Carolingian cathedral of the city, consecrated in 873, which then was located on the foundations of an Early Christian Church. Cologne cathedral is known for its bells. The largest of these is "The Bell of St. Peter." Its bells can be heard only on major religious holidays like Christmas or Easter. Cologne locals call it "Fat Peter" because it weighs 24 tons and makes a lot of solid and impressive noise. Since 1996 Cologne cathedral is included in the list of World Heritage Sites by UNESCO.